Tell the others to step aside because the 'Glamping King' is here! With the royal tent already pitched before your arrival, there's one only job you refuse to pass on to your subjects, and that's the campfire! Set up your wooden throne and get the flames burning, this is your castle for the next few days. 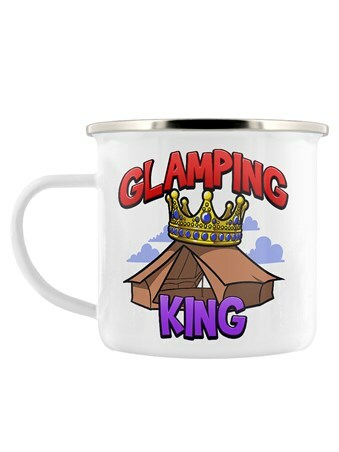 Make sure the rest of your party know who's boss with this super fun tin mug, perfect for your glamorous camping trip, and fit for a king! 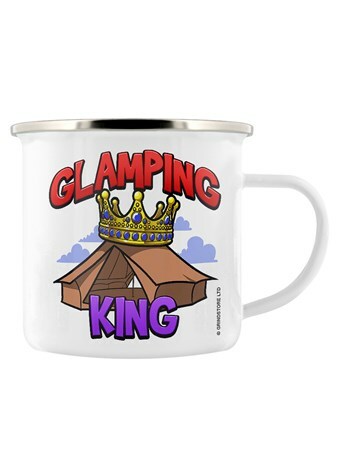 High quality, framed Glamping King, Ruler Of The Wild enamel mug with a bespoke frame by our custom framing service.